World Health Organization, Red Cross, Clinton Foundation all act completely contrary to their charters. India wants to know why they had only 12 cases of polio yet after the inoculations the number jumped up to 45,000 plus. Now the same group want to release genetically modified mosquitos, the woman leading the charge to stop it being found dead in a hotel pool. The Federal Reserve is not federal and has been siphoning off trillions of dollars to a royal and religious elite. A network of banksters keeping people in abject poverty. 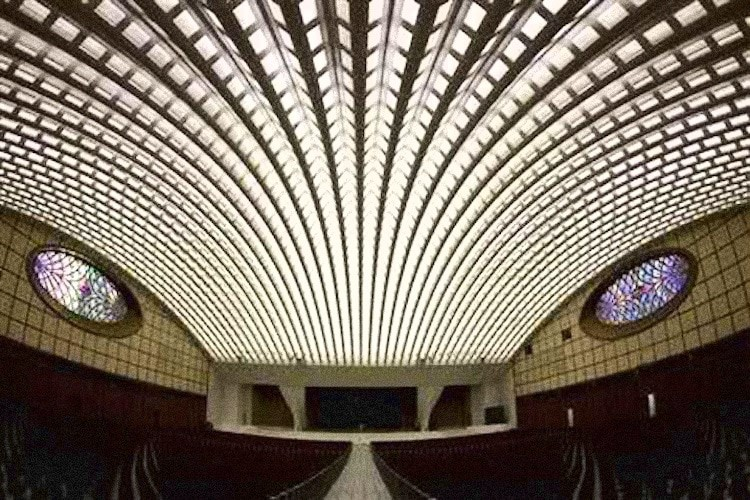 The Catholic church is riddled with pedophiles, they praise Lucifer in their ceremonies and now the Pope has declared Lucifer as their God. Did you know the Catholic Church for the large part is in charge of the underage immigrants receiving millions from the government? 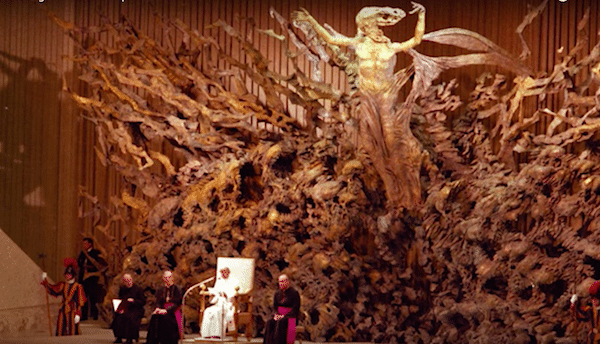 Have you seen the draconian throne of the Pope? The serpent hall? How did the Romans get an exclusive on Jesus? Can it get any more corrupt and decadent? What is this multi armed occupus deeply entrenched in America. You are about to find out. This Draconian, Archon beast is rising up rearing its ugly head. Its many puppets within all the institutions are coming forward. They are shameless and narcistic. They have but one agenda, total dominion. Their greed is unbridled, their lust for power and wealth is beyond measure. They are void of love, empathy, and have no respect for life in any form. The beast has many mouths as expressed by the main stream media. Might as well call them the Draconian Archon news network. The lies and deceptions flow like a river, mind control at its best. These talking heads have become shameless, narcistic soulless beings, they have lost all humanity. They inspire hate, separation, race wars, gender wars and are void of light. The hate they inspire will return to them. The ones they conspire to take down will be the ones taking them down. Know their agenda, know what is coming through them, what do they inspire? Do they inspire heaven on Earth? They want a violent bloody revolution based on lies, deception and misperception. Walk away. The boomerang is on its way back. We have always said from November on the beast will fall. It will be a series of blows exposing every aspect of the beast. One by one the arms of the beast will be severed. Watch the congressional hearings. The death blow to the heart of the beast is close behind. 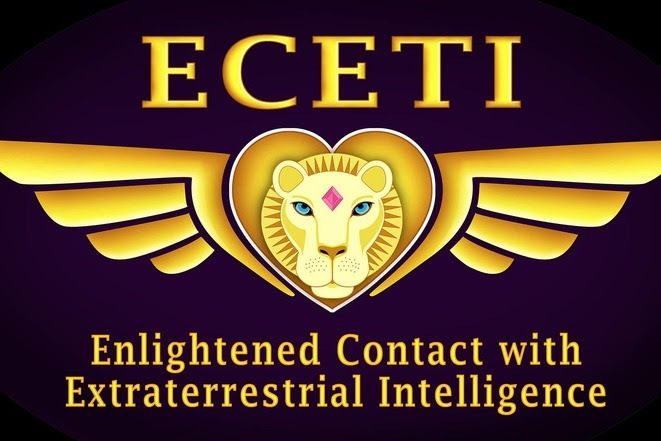 It is as if the source itself has said it is finished and has unleashed a multidimensional army along with an awakening ground crew to restore order, Universal Law is coming. It is fulfilling prophecy. Are you aware of the strong wave that went through the Earth on November 11th? Have you heard of the plasma strings orbiting Earth, the strange particles observed and changes in the electromagnetic light spectrum? The Shumann resonance going from 7.8 now holding at 40. Did you know your heart beat is connected to the Earth? The cosmic ray influx is off the chart. Have you felt the emotional rollercoaster, wounds, traumas and wrong conclusions not from just this life surfacing. Do you know the source behind the chaos? It is an unstoppable force no man/woman can stop. It is prophecy, it is destiny. The true history of Earth is going to be revealed. We are a series of off world colonies having to start over as primitives. God/Creator/Great Spirit is a consciousness and energy the connector is the heart where the soul resides. The true nature of the bearded Gods of old will surface. There will be a grand reunion with the greater family of man, our off world ancestors. They will help in the awakening and healing process, restoring the Earth, bringing in Universal Law, Creators Law. They are here in service to the Creator within all Creation. They are not here to be worshiped or become your slave masters or Gods. That was already a part of your history. The weeks and months to come will be the great uncovering, an acceleration of Karma and the end of the beast. We have all been waiting for this time. We all have to do our part. That time is now. This entry was posted in * End GAME - GOOD vs EVIL, * INFORMATION SOURCES, - Draconian Negative Leaders, - HIDDEN ♠ CONTROLLERS, - SECRET EVIL SOCIETIES, Break-out of THE MATRIX, JAMES GILLILAND ECETI, NAZI - BUSH CLONES, NAZI - CLINTON CLONES, Negative Archon Beings, Negative REPTILIAN Beings, POLITICAL - PUPPETS, SATAN or the DEVIL, WORLD ♠ GANGSTERS. Bookmark the permalink.